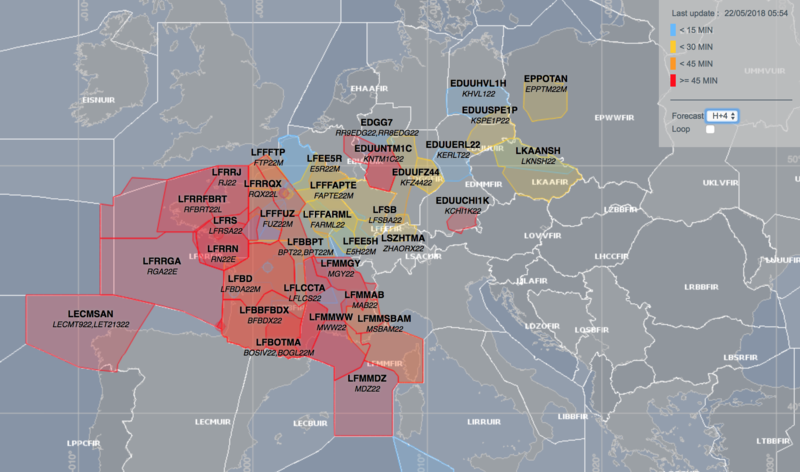 Impact from todays ATC French strike is looking worse than usual. As things stand at 0600Z, there are a total of 400,000 delay minutes attributed to ATC Industrial Action in the ATC system for Europe, an average of 20 minutes for every flight in Europe. That average is calculated for all 22,000 aircraft that will operate today in Europe, so assuming at most 2000 flights would operate through French airspace, it works out at around 220 minutes delay for every aircraft. And yep, finishing off the maths, that’s about 4 hours. Those figures are pretty fluid because the good people at NM (CFMU) work really hard to reroute flights around the worst of it, but it’s safe to say, if you are operating in, over, near, or thinking about France today, you will have a pretty decent delay. See below for the best places to get updates on todays strike. Mitigation action document – specific to the May 22 strike.